The Sunshine State is not necessarily a hotbed for hockey in North America, but it is where rookie goalie Matthew Greenfield of the Calgary Dinos calls home. 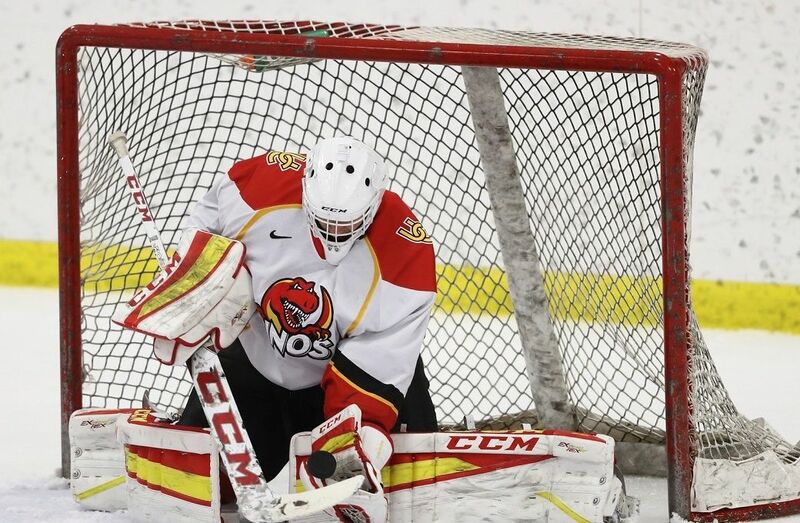 The Sunshine State is not necessarily a hotbed for hockey in North America, but it is where rookie goalie Matthew Greenfield of the Calgary Dinos calls home. Greenfield grew up loving the game of hockey like any other Canadian kid in Parkland, Florida. Greenfield started his love affair with the game after he started playing street hockey with his neighbour, who was from London, Ont. Greenfield has come a long way from the days of playing street hockey with his neighbour. He grew up playing multiple sports, but hockey was his one true love. Hockey in Florida is not as accessible as it is in Canada, but Greenfield was able to get ice time. He grew up watching the Florida Panthers and Roberto Luongo in net. The six-foot-one goaltender has had a successful junior career, playing in the OHL for the Kitchener Rangers, the Tri-City Storm of the United States Hockey League (USHL) and the West Kelowna Warriors of the British Columbia Hockey League (BCHL). During his short stint with the Warriors, last season Greenfield captured the RBC Cup – the national Junior A Championship - after posting a 48-save shutout against the Llodminster Bobcats in the final. It was the connection with West Kelowna that helped Greenfield find a home with the Dinos after his junior career. Head coach Mark Howell was with the Warriors from 2006 to 2008 before coming to the Dinos, and had stayed in touch with the team’s staff. West Kelowna contacted Howell to see if he needed a goalie with Calgary. Greenfield was not too familiar with the Canadian university system and Howell needed to educate him on it. Greenfield was getting looks from a couple of Canadian schools, but settled on Calgary. Thus far, Greenfield has adjusted well to the level of play in U SPORTS, holding a 7-1 record with a .929 save percentage and a 2.19 goals-against average. 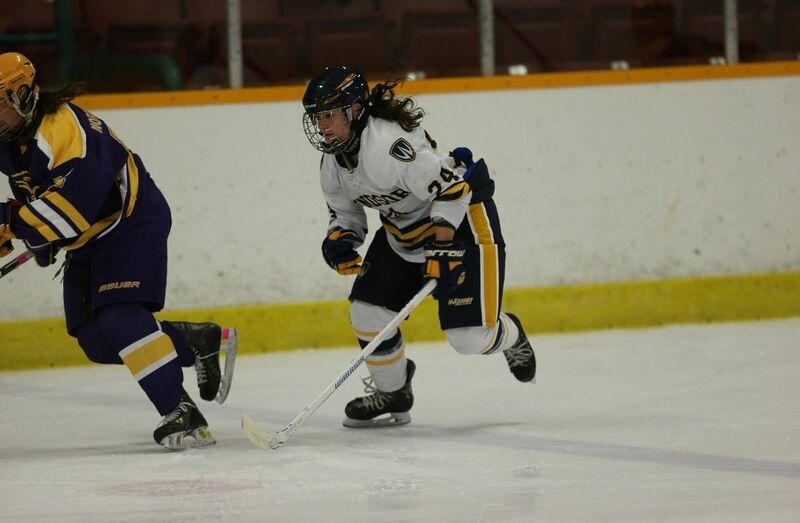 Coach Howell is impressed with Greenfield’s play so far this season, making the step from Junior A to Canada West and U SPORTS.